All actively supported versions of Postgres just got a minor version release with some critical fixes for data corruption. If you haven’t already you should make sure to upgrade. It might not be news to us as Postgres has long been a trusted database for our data, but due to its continuing growth in features and usability Postgres is starting to surpass MySQL as the preferred database by ‘the kids’ according to this editorial. 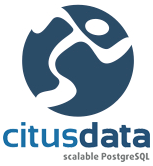 Citus Data provides open source and commercial solutions for scaling out PostgreSQL to empower real-time big data. View webinars on topics such as scaling out and fast analytics for big datasets. Read our new case study on solutions using PostgreSQL for real-time big data at MixRank. PostGIS, the best option for geospatial data, is under active development and a new version is coming. Feature freeze is planned for a few months from now and they’re expecting release this fall to be in line with Postgres 9.5. Take a look at some of the upcoming planned and committed features. Why is Postgres pursuing a non-standard variant of UPSERT rather than SQL’s MERGE? A developer explains why: they’re quite different things. Following up from a post last week on the issues with Postgres as a queue, here’s an older talk about PgQ from Skype and how it works and met their needs.